Poha is one of favourite breakfasts. And I make it quite often, not just for breakfast, but for dinner as well. And i add as many vegetables as possibly while making it. I add whatever i can lay my hands on. I love eating colourful stuff and the addition of a variety of vegetables results in a rainbow like dish and I kind of love it. I made a very heavy breakfast so that I could do with something light for lunch. Wash the beaten rice and drain it. Add the salt, turmeric powder and keep aside. Heat the oil in a kadhai and add the mustard, and cumin. When the mustard splutters, add the green chilli and the spring onion whites. Add the curry leaves and fry for a couple of minutes. Add the carrots, peas, beans and potato. Add some salt and then cover and cook for a few minutes. 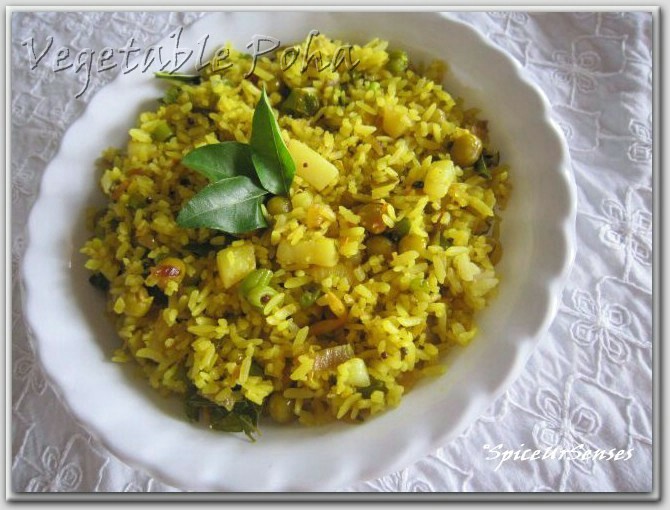 Add the beaten rice and mix it gently. Garnish with with some coriander leafs . Enjoy this as soon as it is made. Nice and delicious looking rice dish! 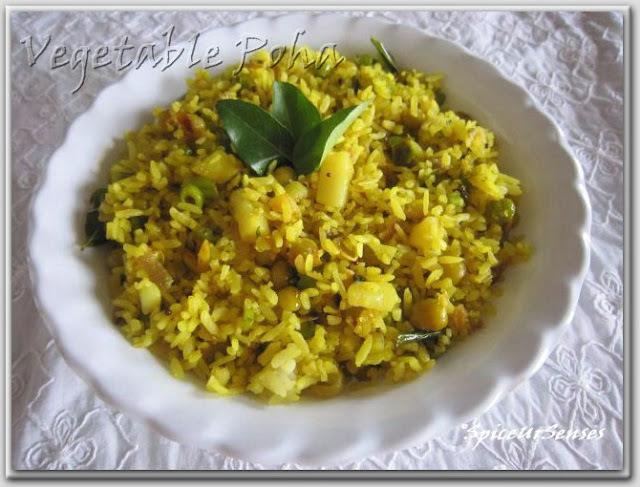 Great looking vegetable poha, very delicious..
My all time fav,can have it anytime. This looks great with all the vegetables for any meal of the day. 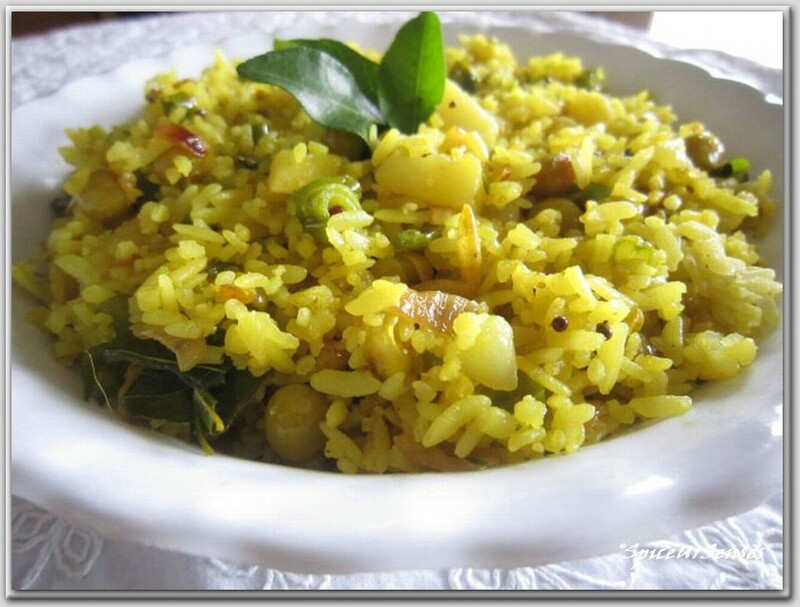 poha looks very tempting ...my all time favorite .. Awesome click and deliciosu dish..
OMG...looks heavenly...love all d colors..
mmm... another all time favourite.. This was one thing that i lived and craved for when i was pregnant with my twins. Your looks so light and elegant. the lenders within your state. make this amount of money this quickly.